IoT technology isn't just about tracking consumers' every move: It can also help businesses cut service costs, and governments reduce social costs. Ssshhh… can you hear the walls creaking? 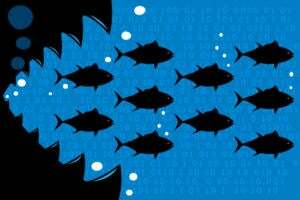 When we talk about the internet of things, consumer applications too often get the lion’s share of the attention. 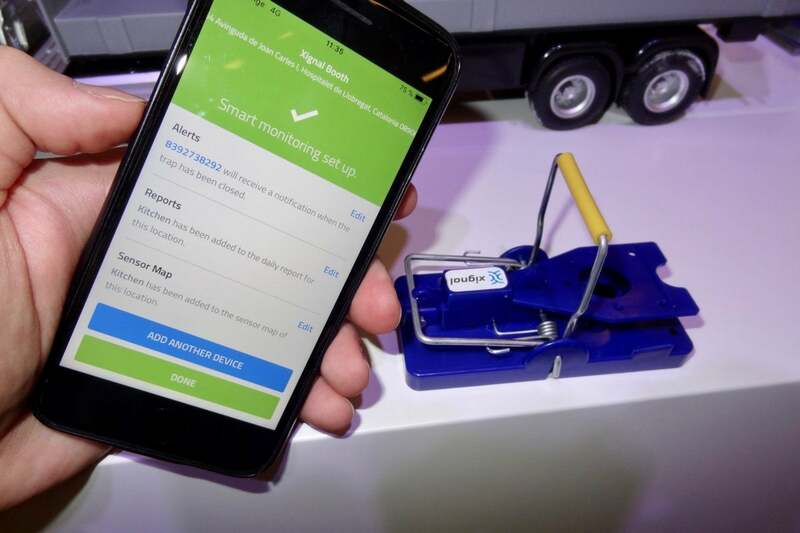 But there are also a growing number of industrial applications for IoT technologies, from building better mousetraps to preventing theft of manhole covers. If you’re wondering whether there’s anything to be gained by connecting up the objects you purchase or manage, have a look at these examples from Mobile World Congress 2018 in Barcelona for some inspiration. Manhole or access covers present their owners with a dilemma: You can’t lock them, because the locks would clog with dirt, preventing utility workers from opening them to inspect the sewers or maintain the telecommunications networks they cover. If you don’t lock them, though, they can be stolen. That’s a costly problem in itself (believe it or not, these dumb hunks of cast iron can cost upwards of $150 each) but if someone falls in the hole before the cover is replaced, the cost of liability is potentially even greater. 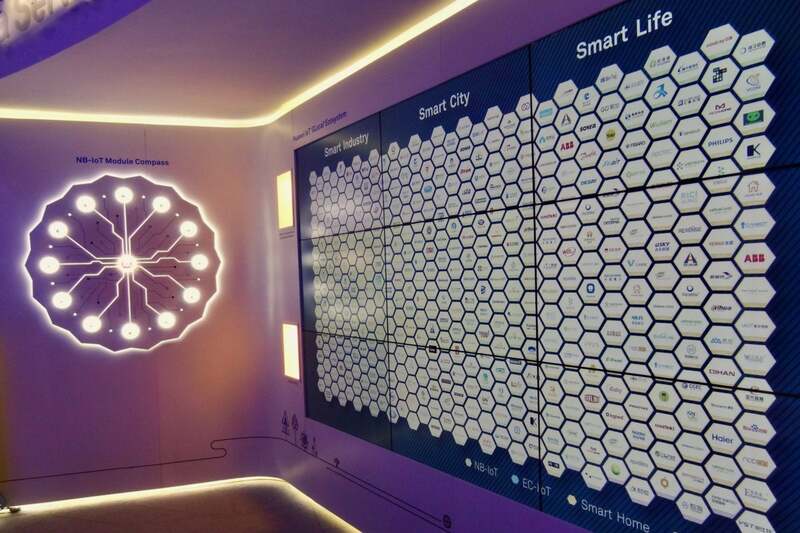 That’s why the model smart city on Huawei Technlogies’ booth featured smart manhole covers. In addition to reporting if the covers are stolen (or removed and not replaced for some other reason), the system can warn of flooding and report other metrics concerning whatever the cover, uh, covers. People have been trying to build a better mousetrap for years, but however good they are, their owner still has to check and reset them regularly. Xignal thinks its smart mousetrap is better because it has packed some circuitry into the base that reports back when it’s triggered. Inevitably, there’s a trap app to warn owners when that happens. They’ll still have to visit their traps to reset them, or to change the battery, but at least all their visits will have a purpose, cutting the cost of rodent control. A typical city has thousands of access covers -- and probably many times more mousetraps. If they want to connect them all then they could be looking at some significant data charges. 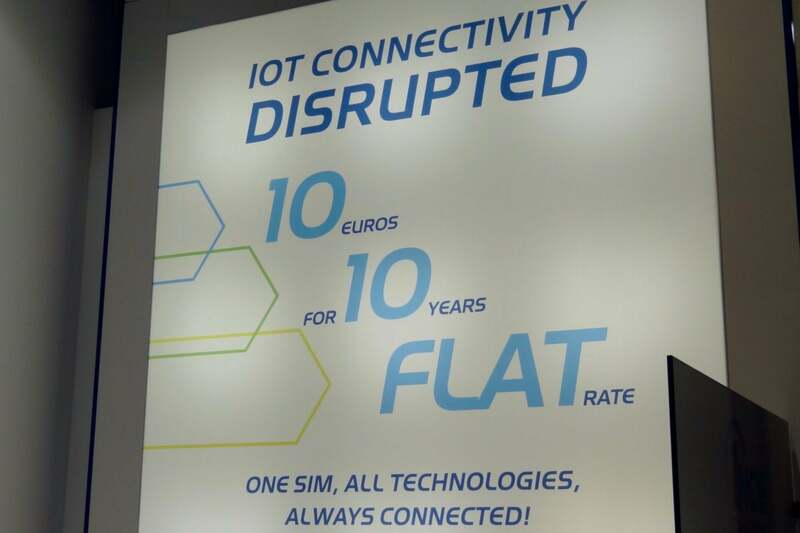 German mobile virtual network operator 1NCE had a reassuring offer for those worried about the latter: a SIM that’s good for ten years, including roaming across the European Union, for a single, one-off payment of €10 (around $12). The 1CNE offer has a significant limitation: You can only transmit 500MB of data in that time, or there’ll be another €10 to pay. 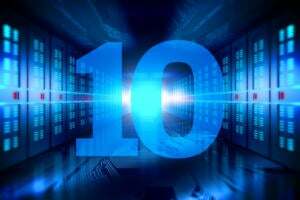 Averaged over 10 years about 13 bits per second, or 140 kilobytes per day. That rules out streaming video, but leaves plenty of bandwidth for lots of other applications. 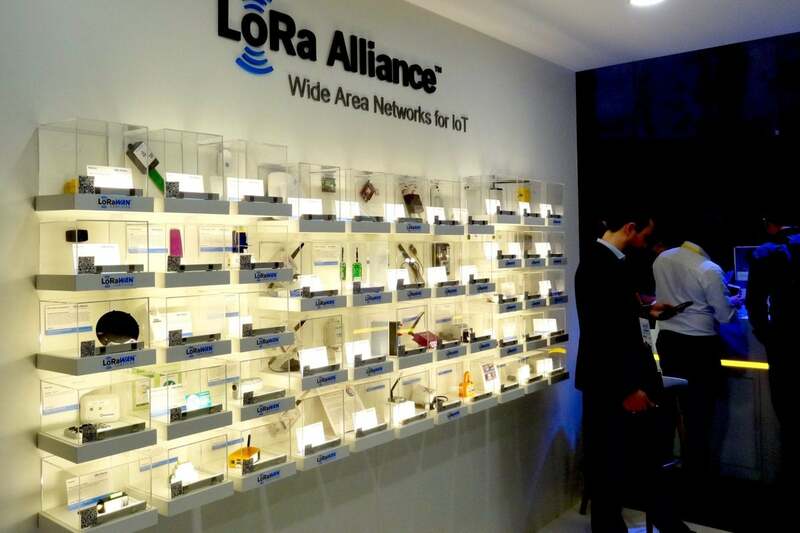 There was a whole wall full of examples of things that can be connected via the LoRa low-power wide-area networking protocol: That’s a lot of LoRaWan. 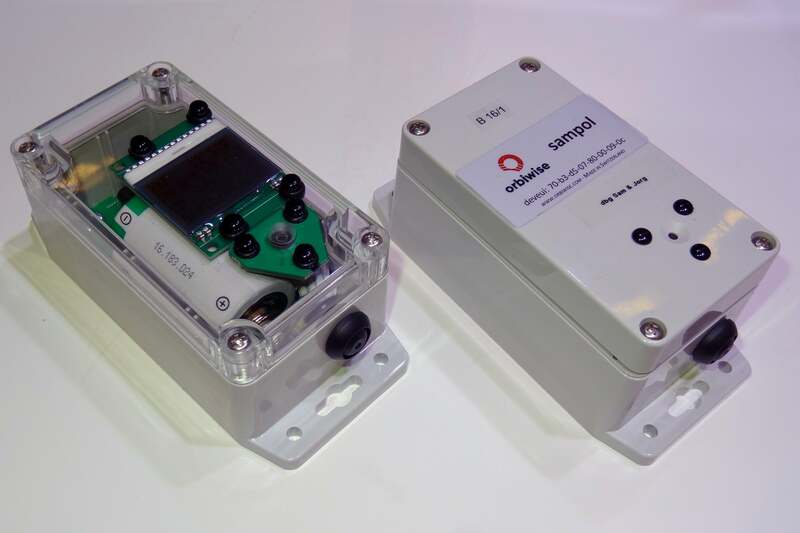 Among the devices on show, you can discern the ComBox.L energy data logger from Solvera Lynx and its cousin, the ComBox.L ATEX, used for detecting gas leaks in explosive environments. There’s also a stick-in-the-mud agricultural data logger from Skysens.io, which makes devices for monitoring soil, crops, livestock and beehives, and the PlacePod smart parking module, a black dome housing a magnetometer from PNI Sensor that you set into the pavement. Monitoring the structural integrity of buildings used to involve gluing strain gauges to the walls and coming back from time to time to see if they’d stretched or snapped. The SH BOX from Sysdev means there’s no need for a repeat visit until the battery needs changing. The black strip in the photo is the strain gauge. It’s glued to the wall, and the electronics in the gray box monitor it for changes and report back deformation, temperature, inclination, and seismic events to a nearby IoT gateway, which compiles the results and sends them away for analysis. 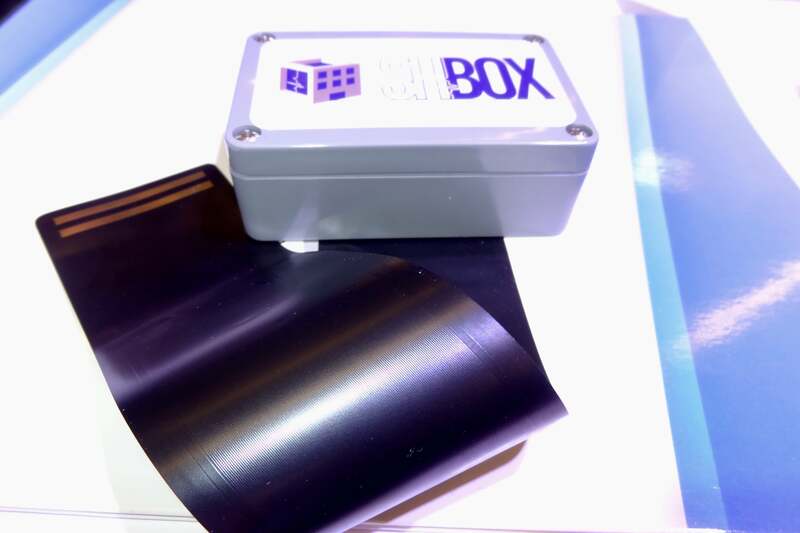 Here’s another gray box that monitors its environment -- this time listening for loud noises. It’s part of noise pollution monitoring project for the city and canton of Geneva. Orbiwise usually builds gateways and network servers for LoRa systems, but occasionally it develops client IoT devices too. These ones measures sound pressure levels (SPL) continuously for six to eight months before they need a new battery. They’re part of a wider smart city project, and allow officials to investigate if noise exceeds mandated levels too often. Each box in this city-scale project cost $150 to $200. Clearly that could come down further for a wider deployment -- and measures to reduce noise have social value. The U.K. government puts the social cost of noise pollution from urban roads alone at around $10 billion a year -- as much as the cost of road traffic accidents. 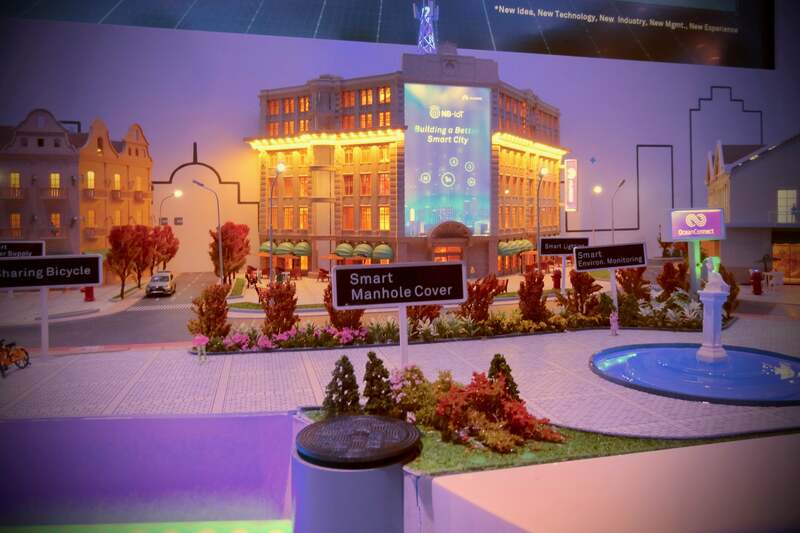 Software AG showed off a big idea with a small exhibit on its stand. 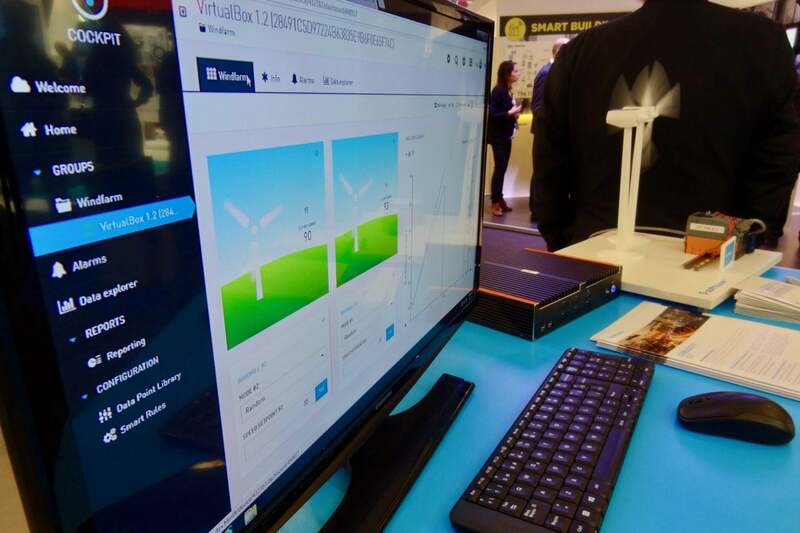 The wind turbines were scale models, less than a meter tall (real ones would have filled the exhibition hall) but the edge computing devices running its Cumulocity IOT platform were full size. They’re pretty small, which is just as well as another use to which Cumulocity has been put is monitoring coffee vending machines. The software doesn’t just run on the edge: It can also run on cloud servers, and connects IoT devices to many business applications. In the foreground is a dashboard built using the platform. 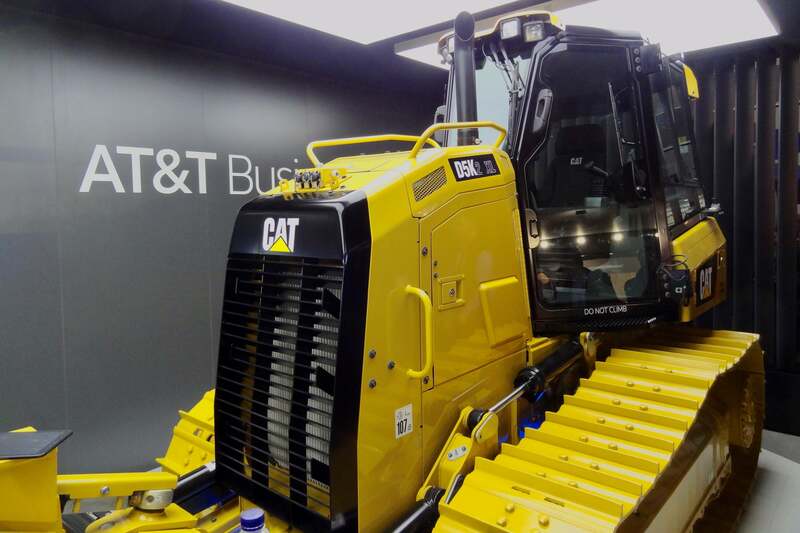 Crammed in to one of the smallest corners of its booth, AT&T showed off a towering Caterpillar connected bulldozer. OK, Caterpillar considers the D5K2 a “small” ‘dozer, but it still filled the space. Caterpillar is offering more and more of its machinery with a service called Cat Connect, which it uses to provide aftermarket support and product support. 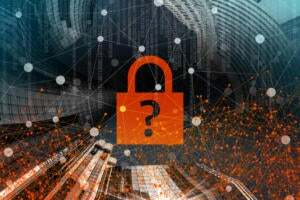 It means the company can remotely monitor how its products are used, and offer additional training where it sees problems. It’s doing that with the help of AT&T, which is delivering worldwide 4G network connectivity, through roaming agreements outside the U.S. The PoleStar from Huawei Technologies is the Swiss army knife of utility poles. It doesn’t have a fold-out bottle-opener or fish-scaler, but it’s got pretty much everything else you could hope for. 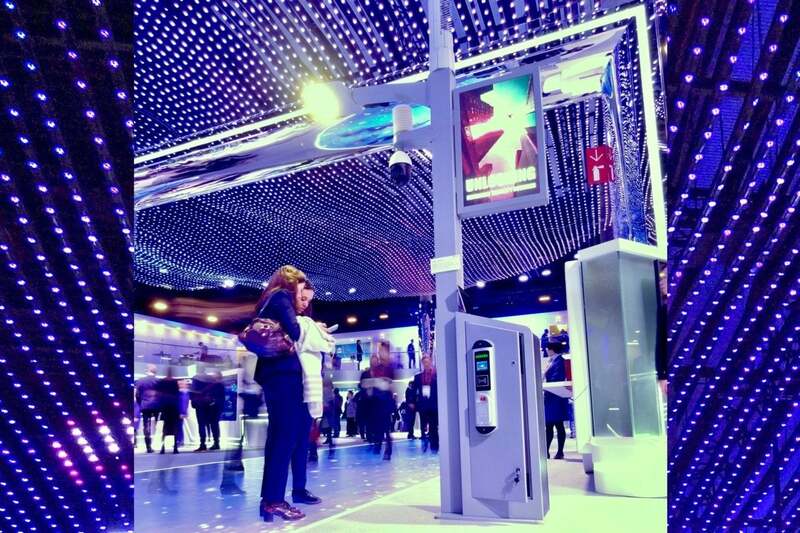 In addition to supporting street lighting, it can also carry advertising displays, CCTV and other monitoring equipment, and recharge electric cars and USB devices. It also incorporates its own microwave or non-line-of-site backhaul in areas where fiber communications are unavailable.